and it describes excavations at Göbekli Tepe in southern Turkey led by Klaus Schmidt. There is no question that Göbekli Tepe is a spectacular site. But it also presents an enormous challenge to the standard archaeological theory of how complex large-scale societies evolved. 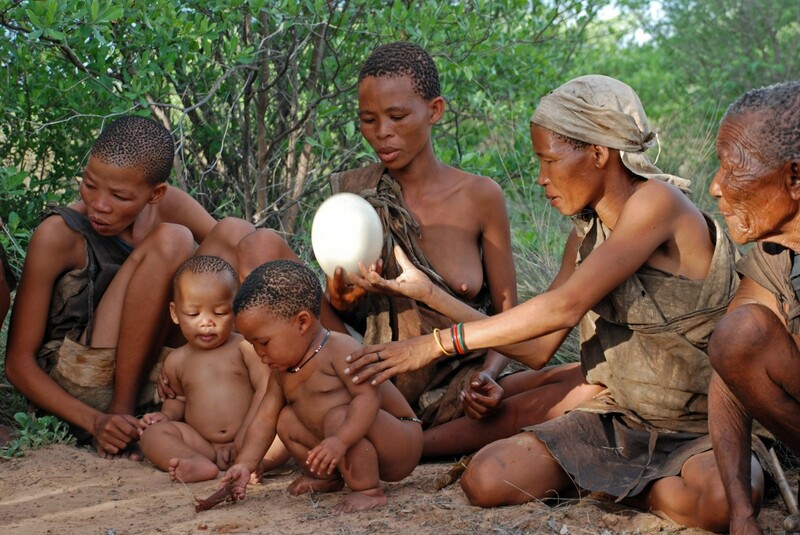 For most of our evolutionary history we, anatomically modern humans, lived in small-scale societies. And I mean, really, small-scale. Paleolithic humans interacted, on a daily basis, with at most a few dozens of other people, each of whom they knew intimately. These closely-knit local communities were embedded within ‘tribes’ – ethno-linguistic groups numbering many hundreds, or perhaps even two-three thousand people, who spoke the same language, shared same sacred beliefs, used distinctive ethnic markers (dress, tattoos, artifact styles) to distinguish ‘us’ versus ‘them’, and tended to cooperate with each other (especially when attacked by other ethno-linguistic tribes). Beginning about 10,000 years ago this started changing, and now the vast majority of humans live in large-scale societies. And I mean really large scale – tens and hundreds of millions instead of hundreds/few thousands 10,000 years ago. In some cases (China, India) over a billion of individuals are encompassed by the same political community. If you think about it, this is truly an astronomic change – 6 freaking orders of magnitude! So how did it come about? The standard archaeological model (which is so standard that it is rarely formulated in explicit terms) explains it this way. Around 10,000 years ago humans began domesticating plants and animals. This allowed them to dramatically increase production of food, which in turn enabled greater population densities, sedentary way of life, villages – and then cities, complex societies, states, writing, etc. – in short, civilization. The adoption of agriculture, thus, created a resource base capable of sustaining high population densities and an extensive division of labor. It also generated the capacity to produce ‘surplus’ to support craftsmen, priests, and rulers. At this point, the standard theory branches out into several different models, with some emphasizing the need to manage economy, others focusing on warfare, and yet others stressing the role of ideological specialists (priests and religion). Details vary, but the common denominator is that a rich resource base is not only a necessary condition, but also a sufficient one. I call this the ‘bottom-up’ theory of the evolution of social complexity, because it treats social complexity as a sort of ‘superstructure’ on the material resource base. In other words, you stir in enough resources into your evolutionary pot, and social complexity will inevitably ‘bubble up’, although different theories evoke different mechanisms explaining exactly how and why this happens. The problem for the bottom-up theory is that Göbekli Tepe flatly contradicts the sequence of events postulated by this theory. Göbekli Tepe was a major religious and ritual center. It periodically gathered together people from a fairly large-scale society. Constructing the monument and carving the pillars required hundreds of workers and artisans laboring together, so the supporting society had to number in the thousands, at the very least. Probably tens of thousands, given that it couldn’t have a high capacity to generate the surplus needed to support the workers. Its capacity for generating surplus had to be limited, because the society that built Göbekli Tepe subsisted by hunting and gathering. 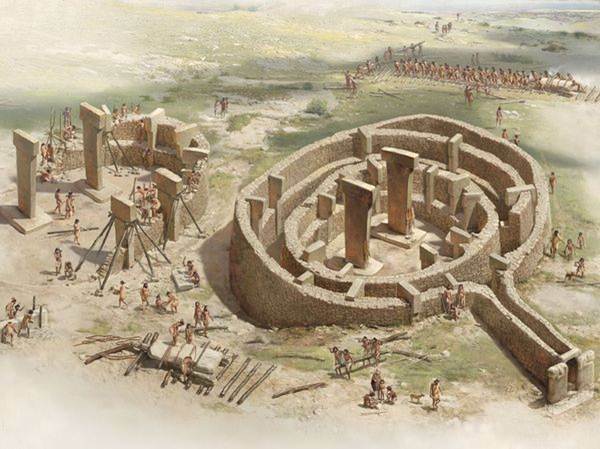 The earliest complex at Göbekli Tepe was built roughly at 9600 BCE, while the first evidence of agriculture in the area dates to at least one thousand years later. The workers at the site ate game – gazelles and aurochs – probably supplemented by gathered plant foods. They did not eat any cultivated grains. Exciting! Are we witnessing a scientific revolution in process? Before we jump on this bandwagon, however, let’s ask two questions. Question 1. Is Göbekli Tepe a freakish outlier, an unusual data point that should be discounted? Perhaps there is some problem with dating that, when corrected, will show that agriculture actually was adopted earlier than thought. In any case, a scientific theory cannot be rejected on the basis of a single example. However, as I will discuss in subsequent blogs we now have multiple examples in which an increase in the social scale precedes agriculture. But what we clearly need is a systematic study. Question 2. Is the alternative explanation logically consistent? Here I am bothered by the key step, described in the diagram as follows: “Wonderment at changes in the world leads to organized religion”. If early Medditerrean environments were as rich in fauna and flora as Cascadia was in the 17c, it should not be surprising that complex societies were able to form without agriculture. Coming up in the next blog! In addition to the Northwest Coast, the intensive hunter-gathers of California had fairly high population densities and a few seem to have been politically complex, such as the Chumash of Southern California. most Californian were politically minimalist according to my colleague Robert Bettinger. However, they did have some interesting multi-tribal religious cults. These never went in for monumental stone architecture but they might have been able to build some impressive stuff if that happened to be on their agenda. 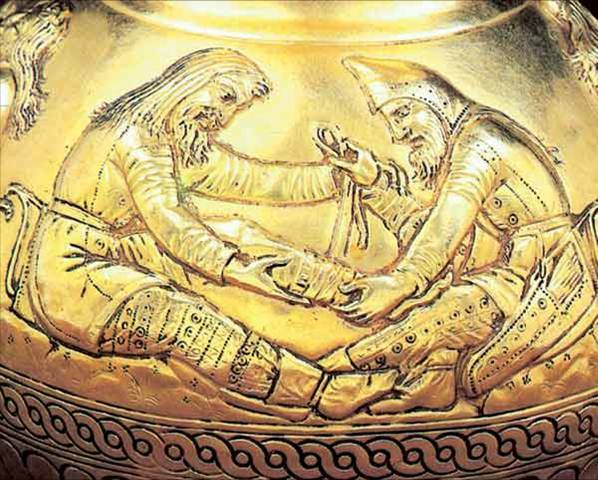 Brian Hayden argues that the fancy art of European Upper Paleolithic people indicates that they were “transegalitarian” societies comparable to the Northwest Coast ones. Agriculture is special only because it generates a bigger surplus to support complex political and religious activity in a much wider variety of situations than does hunting and gathering. Only in unusual circumstances does hunting and gathering lead societies to the bottom rungs of the scale of social complexity we associate with agriculture. On the other hand, some agriculturalists remain very minimally socially complex. Many tropical forest horticulturalists live in dispersed family scale hamlets without any overarching social institutions at all. 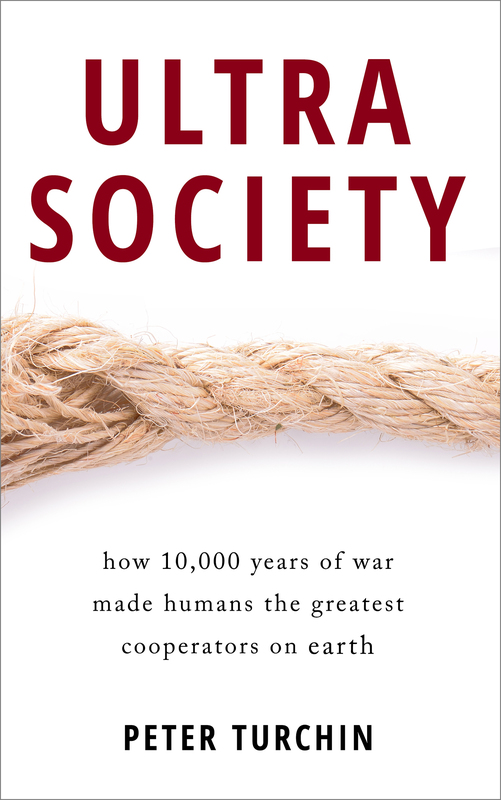 Johnson and Earle’s book The Evolution of Human Societies is a good introduction to the idea that the coupling between subsistence systems and social complexity is somewhat loose. I was up early reading Tim Pauketat’s book “Chiefdoms and other Archaeological Delusions” when my iPad pushed the notice of this blog post. Perfect timing! 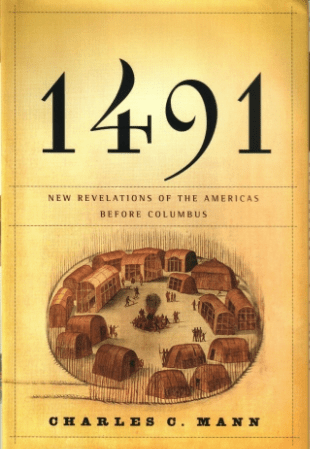 I was reading about Poverty Point in North Louisiana– a pre-maize agriculture site of approximately 3,000 BCE. These people were highly symbolic, created huge bird-shaped earthworks, made bird and other theriomorphic fetishes, and made “objects,” fired clay spheroids with intricate designs that Pauketat suggests were iconic to the point of akmost being ideographic by representing what seems like abstract concepts.. These mystery balls were used to cook with by being put in skin pouches (this was a pre-pottery culture). My take is that the cooking balls were some kind of pre- alphabetic ideograms which could be sequenced to tell tales or write poetic texts, then, practically, be used to cook a meal. An eminently practical use for poetry and literary effort! All this brilliance and complexity did not follow agriculture, but preceded it’s importation (by whichever route/process it occurred) from Mesoamerica. Poverty Point seems to fit the pattern of Gobekli. By an interesting coincidence, my next installment will highlight precisely this culture (talk about timing!). The observation that mounds at Poverty Point have no rain-caused erosion suggests that they were built very rapidly – and by a large crew of people. In medieval and ancient historical times, agricultural innovation took place in response to a combination of increasing urban agglomeration and decreasing transport costs, so that farmland a short distance from the city came to have higher value and it became profitable to cultivate it more intensively. There are no historical cases of an agricultural innovation leading to a creation of a city. So later history would support the urban complexity first, agriculture second story. Agreed. In fact, agricultural intensification never seems to happen on its own, but rather in response to a significant need. This has been argued by Ester Boserup, among others. People are lazy, and work hard only when really necessary! For those interested in the Pacific Northwest, I recently had a multimedia story published about the transegalitarian culture of Keatley Creek, studied by archaeologist Brian Hayden of Simon Fraser. Peter, to introduce myself (a recent reader of your blog), I’m working with David and Robert on an EI project. Thanks to T.Greer, Peter Richerson and Alan Honick for your suggestions and links! The second story is more inspiring, and more cantered around human agency for change as opposed to the mere reactionary and more obviously adaptive nature of the first story. 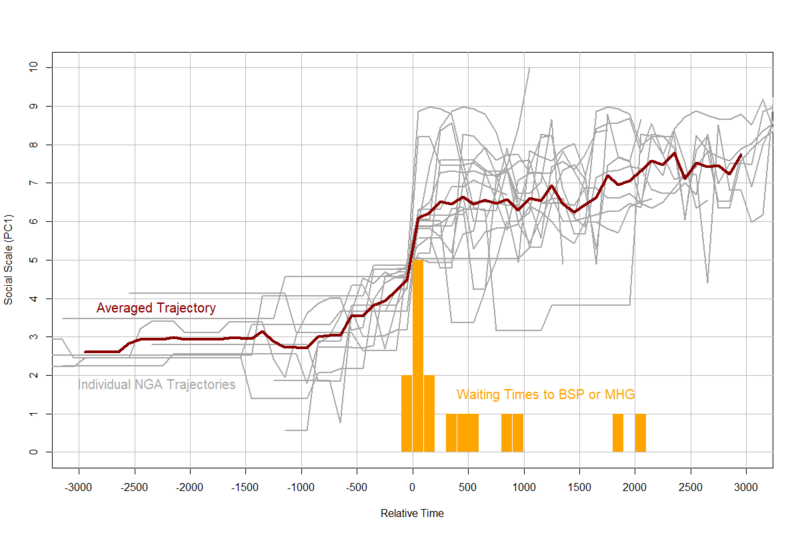 Unfortunately, in most settings, the “more human story” tends to be more likely to be pseudoscientific :(. I agree with your reservations about the vagueness of “Wonderment at changes in the world leads to organized religion”, but I don’t find the alternative “After people began settling in villages and farming, religion arose to promote cooperation” is that much more precise. Usually one views cooperation as a prerequisite for complex society, not a side-effect. Also, religious structure is one of many possible mechanisms, why was it favoured over the others? In the end, I suspect (as is typical in science) the answer is a messy tangle of both stories, with both parts of the story being necessary. 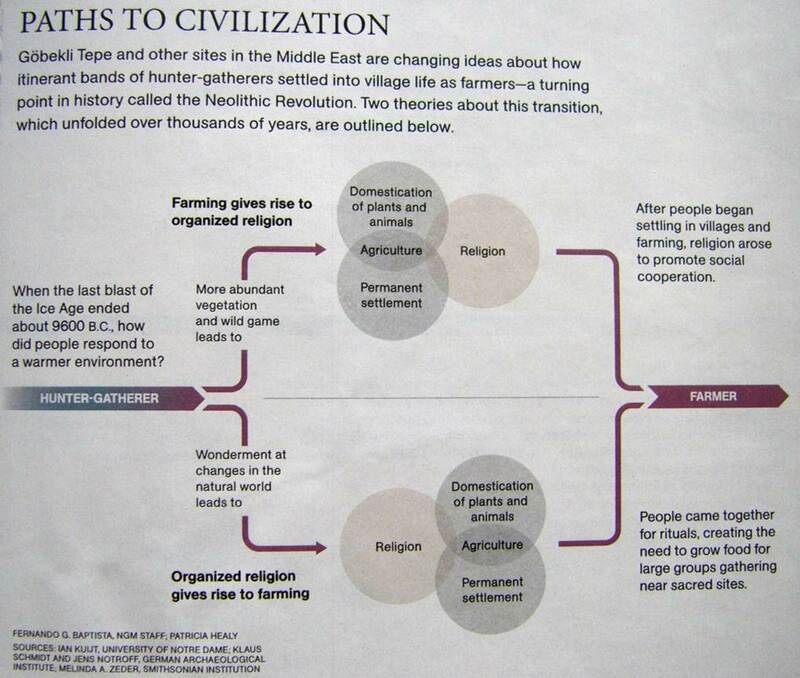 As such, when you look at the data, you would expect to see both religion slightly ahead of farming, and farming slightly ahead of religion, depending on which path the given society took through the co-evolutionary dynamics. I think there are actually a couple of “then a miracle occurs” moments in the new theory. Both of these are a bit sketchy. As far as (1)–> goes, presumably, ever since the emergence of modern homo sapiens on the African Savannah, they always wondered about the natural world. Indeed, if one wants to get reductionist about it that’s pretty much what separates modern homo sapiens from our primate ancestors. Now, a drastic climate change could induce an increase in “wonderment” … but what we’re talking about here is not something that happened overnight, or even on the order of generations but a very gradual (in terms of the appropriate time scale) shift. On top of that, I think your question 2 is very pertinent – why did the “wonderment” increase in places where organized religion and then agriculture appear, rather than in other places? Why modern day Turkey and the fertile crescent (and other places where agriculture appears first) but not, say, Siberia? Or Northern Europe? Or equatorial Africa? Is there any kind of correlation that can be squeezed out of existing data between appearance of organized religion (and then agriculture) and the geographic distribution of the magnitude of the environmental change? (2)–> is a bit of a stretch as well. Historically speaking, animistic religion and ancestor worship actually seem to have served people’s spiritual needs quite well. So there really is no obvious reason why in face of climate change (ignoring the fact that it wasn’t drastic/fast enough, or geographically distributed appropriately) the hunter gatherers would have freaked out and decided to get themselves a more organized form of religion (which would entail some substantial social disruption and costs). More likely they would have said “our ancestors are happy and have increased our harvests” or “the Sun God is beneficent today” and just gone on their way. But this is a very illustrative example in that it does highlight a shortcoming in the “traditional theory” as well. For what it’s worth, in my opinion – and I think this agrees more or less with Artem’s comment above – the emergence of both organized religion and the adoption (and I think “adoption” as opposed to “invention” should be stressed) of intensive agriculture were both the product of another third cause, the independent development of more complex social structures. Where these came from, and why they appeared where and when they did is the million dollar question. I got two working “toy hypotheses” on this. One is mundane and not that interesting but simple and plausible the second probably requires a “then a miracle occurs” moment of its own. 1. The complexity of social organization is simply a by-product of population density. Then there’s some threshold level of social organization after which things like organized religion and intensive agriculture become “cheap” enough in relative terms so that societies adopt them. This would be the case if “diminishing returns” under these more complex arrangements set in at a slower rate than for simple household religion or hunter-gathering economies, yet at the same time there are substantial fixed costs associated with adopting/maintaining them. The end of the Ice Age enabled existing hunter gatherer societies to achieve unprecedented population densities and that led to both agriculture and organized religion. This story is very much like the traditional story except that it doesn’t privilege organized religion over agriculture or vice versa. They’re both residual results of a third factor, which is the increase in population density. But that also means that it inherits some of the shortcomings of the traditional story and is also, well, a little boring. 2. To make it more interesting we’d want an explanation as to WHY more complex social organizations emerged out of higher population densities. Still working on making all of this formal. (*) – This would be “like” the Paradox of Enrichment in ecology, although personally I’m not convinced that PoE is anything more than a theoretical curiosity arising from an overly simplistic specification of the model. Still, for this explanation to work we simply need that a society experiencing a beneficial “resource” shock can wind up worse off, even without collapsing outright, than it started, which is not implausible in a Malthusian-cultural model. (**) – Another way of avoiding explosive oscillations is out migration of some members of the tribe to relive population/resource pressure. But this fact is actually a feature not an alternative theory. Before 10000 BC or so the world was relatively sparsely populated so if there were these kinds of “Trojan Horse” shocks (seemingly beneficial but in the end society-destroying) the simple answer was for some people to just move over the hill. But this is possible only as long as the world isn’t “filled up”, if there are still places to go. And it took humans a long time to fill up the world, from 150,000 BC (or 200,000 or 50,000 – wherever you want to put that at) to 10,000 BC. During that time migration served as an adequate safety valve. Afterwards it was adopt (invent more social complex organization) or perish. Thanks for this reply, Radek – perhaps I should invite you for a guest blog! Because much of our knowledge and education is Eurocentric we often forget that complex societies existed in other parts of the World. It is now pretty clear that the early Australians were self aware at least 40,000 years ago as they were related creating cave paintings. Religion and development go hand in hand so one did not lead the other but worked together in a symbiotic relationship. This is a complex structure and it is therefore inconceivable that this was successful at a first attempt. Calling it the earliest is a bit subjective, It is really the earliest found so far. Now we know what we are looking for we are more likely to find other similar and older buildings, Bear in mind that 19000 years ago (when all this likely development was happening) sea levels were 120 meters lower than they are now. Even now the majority of the World’s population live near to the coast and we have not had the technology to conduct archeological explorations of sea floors at 100 plus meters. I suspect out thoughts that agriculture started 5000 years ago are wrong and after the rise in sea levels it took hundreds of years to re-adapt and find suitable places to grow crops. I should clarify that when I talk about social complexity, the main thing I have in mind large scale, the number of people in a society. Other kinds of complexity (sophisticated art, rich diversity of artifacts, intricate division of labor) are possible in small-scale societies, and I do not mean to ‘diss’ such cultural characteristics. First, Hayden was concerned primarily with trying to understand the origins of inequality, not the origins of religion (though in the ongoing dig at Keatley Creek, they are finding evidence of unusually sophisticated ritual structures as well). However, it seems likely that both ritual behavior and inequality proliferate as societies grow more complex. Beginning in the mid-eighties, Hayden found clear evidence of socioeconomic inequality in the large pit houses he excavated. There was a rich side and a poor side, based on such evidence as storage pits, hearth size, and prestige goods. He calls them “corporate households”, with owners on one side, and workers on the other. One of the most telling signs was that nearly all the fish bones––salmon was the main source of nutrition––were in the refuse heaps on the poor side. The rich got the fillets––the choice and boneless part of the fish––and the poor had to pick the bones for the remaining flesh. The evidence is that prior to settling and building a village at Keatley Creek (and other similar settlements in the Fraser River Canyon) these people were essentially egalitarian hunter-gatherers. What changed? 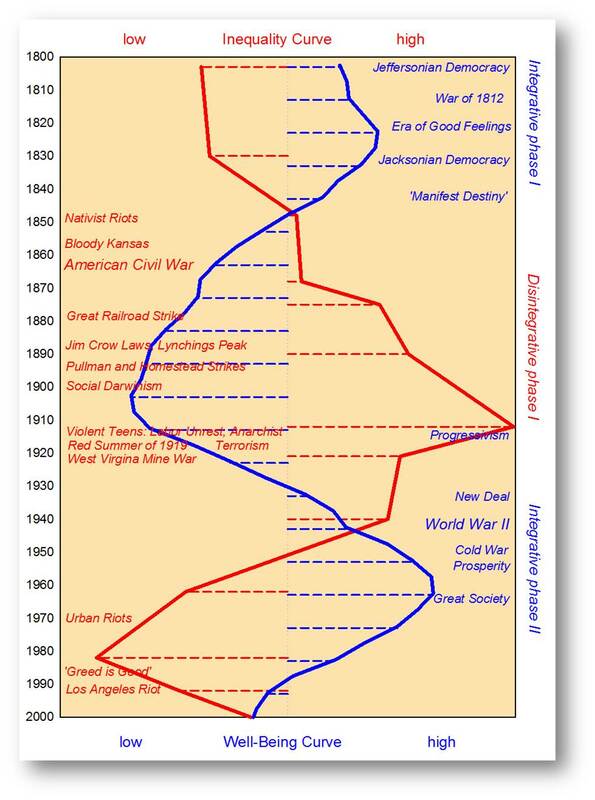 What triggered the rise in inequality in this pre-agricultural society? That’s what he wanted to understand. I’m sure I’ll do Hayden’s theory some injustice by trying to encapsulate it here, but here goes. His first assumption is that even in egalitarian hunter-gatherer societies, there is natural variability in human personality. There are fairer-minded types and greedier types, to simplify. However, in a hunter-gatherer society that is economically constrained by scarcity, the greedier personality types were kept under wraps; if they expressed their personalities too forcefully, as he puts it, they were booted out. When the ancestors of the Keatley Creek people first entered the Fraser Canyon (around 3000 BCE), they found three things––an abundant and reliable supply of salmon, warm winds during the fishing season that enabled them to be readily preserved by drying, and a finite number of easy places to catch them. In this stretch of the Fraser, where it narrows between rocky cliffs, there are in fact exactly 22 “fishing rocks”––ledges below rapids where the fish can be dipped out of the river with nets. To get to the point, the abundant and preservable salmon resource gave them surplus, which enabled them to settle in the canyon, and begin to build more permanent residences. Surplus also kept everyone’s bellies filled, so long as they were willing to work. These conditions led to a gradual slackening in the enforcement of traditional hunter-gatherer norms of fairness. After all, if there’s plenty to eat, why incur the costs of enforcement? So, according to Hayden’s theory, the greedier personality types who had been kept under wraps by hunter-gatherer norms were now enabled to express themselves fully. They did so by devising strategies to garner ever greater shares of the wealth––primarily bride prices and competitive feasting. As wealth accumulated, the wealthy employed the further strategies of patronage and cronyism to eventually gain private property rights over the 22 fishing rocks, and the concomitant ability to determine who got to fish there, and who didn’t. This led to stratification, and eventually the two distinct classes that Hayden discovered in the pit house village at Keatley Creek. As T. Greer hinted in the first comment in this thread, was there in fact a natural resource abundance (perhaps coupled with advances in food storage technology) that enabled the people of Gobekli Tepe to attain such ritual and architectural sophistication prior to agriculture? And if so, perhaps “wonderment at changes in the world” played little or no part in the rise of religion. Reblogged this on Cave of the Ice People. A region where unusually abundant resources allowed HGs to develop population densities of a similar level to agriculture sounds to me like a recipe for either a) lots of conflict and violence between different groups or b) free-riding on the surplus. Either of which (or in fact both) could give rise to a priesthood. If so and if the priesthood created a central spot like Gobekli for group hugs then anyone who’s ever been to an open air festival without proper sanitation should be able to imagine what would happen – the seeds of wild edible plants that people brought with them to eat during the festival left behind in the latrines covering the mountain – and hence agriculture. The conventional story, not contested by any archaeologists as far as I know, is that permanent settlements on a scale large enough to be considered cities (ca 10,000 inhabitants or more) did not occur until thousands of years after the origins of agriculture. Uruk in Mesopotamia is often cited as the first city, reaching that status about 5,500 years ago or a little later. Older, surely. Çatalhöyük dates to about 9000 years ago, with an estimated population of 5000-10000. That’s below your cut-off, but it’s hard to imagine a settlement of 5000 persisting for millennia without urban processes in places. 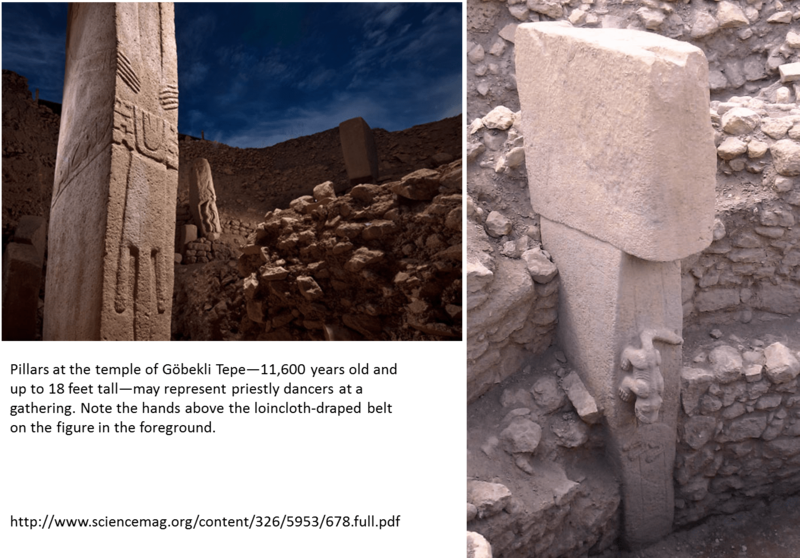 In any case, note the title of this post: at the very least, the discovery of large, complex, pre-agricultural sites like Göbekli Tepe casts some doubt on the conventional view. I meant “in place” not “in places”. If you look at the site of Gobekli Tepe on Google Maps, it is clear even today that the river Euphrates changed direction some time in the past and that there was a large lake or swamp to the south of the ‘mountain’ called potbelly hill. As has been stated above there is no need to assume that these ‘ hunter- gatherers’ were unsophisticated or shown as ‘skin wearing slaves’ and that the carvings on the walls of the ‘temple’ are totemic animals for tribes or guilds living around the lake. Working as a community to build a meeting hall or market when there is plenty of food seems better than any miracle. I am entering this discussion rather late. 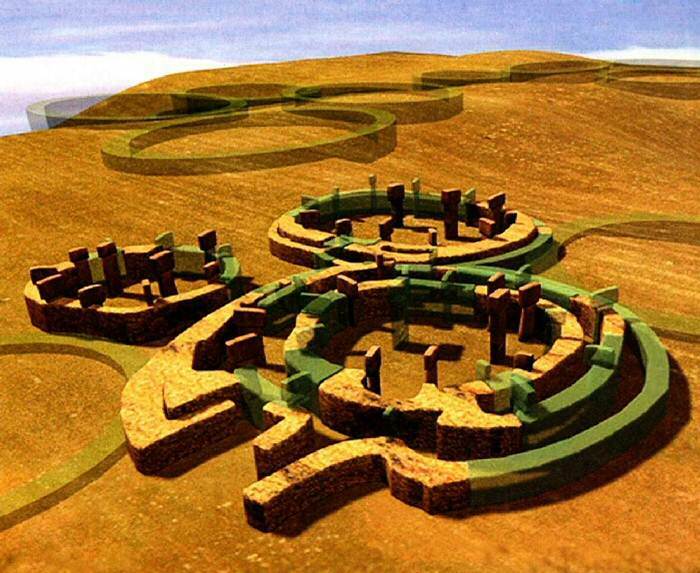 I just found out about Gobekli Tepe the other night. I have read that hunter-gatherers actually worked LESS hard than the standard subsistence farmer, working dawn-to-dusk. I have two related points to make. 1- I was raised an atheist with no religious background. I have never been a part of any religion, and I am perfectly content. 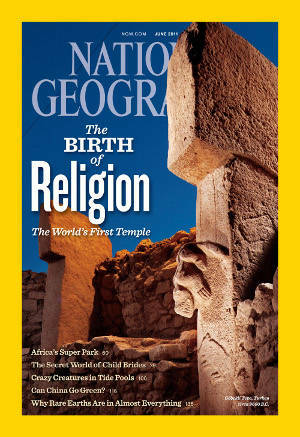 Every article & you-tube video I have seen on Gobekli Tepe (including this page) refers to religion. Could this not have happened without religion? As someone above noted, many ancient people were content with ancestor-worship & nature. Why is religion considered a “necessity” in human society? 2- Could the complex have been built after some natural event brought people together? From my own experience, an earthquake, a Halloween ice storm, and a Halloween hurricane on the east coast have created major social stimuli. With power out for days at a time, neighbors get together & exchange information. Strangers meeting at places of sanctuary (running water & hot food) begin conversations. Why not some huge natural event that brought all people within a certain area together? Lastly, where is the home address of this page? I read recently the argument that those round enclosures are really men’s houses, they housed the religious men’s societies that arise in transegalitarian groups. Used for a time, then ritually burried. Seems very plausible.